We are actively seeking Registered Massage Therapists who have a passion to excel in their chosen profession. Please call or email to schedule a visit. We would be happy to answer any questions you have about how we work. If you are a student of massage therapy who is preparing to take the OSCE and MCQ exams we would love to chat with you. We welcome you to come and spend time shadowing a Registered Massage Therapist at Jenna Birtch Massage Therapy and to get a ‘feel’ for our clinic. Each Registered Massage Therapist has been where you are now and we would enjoy an opportunity to help you and to answer any questions you may have. Our goal is to encourage you in the profession of Registered Massage Therapy in London. Every year, hundreds of graduate students enter the massage therapy profession across Canada, with high hopes of a satisfying career. Most aspire to bring excellent care to their clients, and some may have ideals of attaining further qualifications, or owning their own business someday. Yet our statistics show that a great many therapists drop out of the profession in their first five years. Rumours persist that “everyone burns out in five years.” Obviously this is not true, as many therapists continue treating for decades. To give a personal example, I am almost 70 years of age, in my 26th year of practice, still regularly do an average of 15 hours of massage each week, and have never missed a day’s work due to massage-related injury. There are many possible reasons for the high dropout rate of RMTs from their jobs, and it is not possible, in this article, to explore all of them. But I would like to explore this concept of “burnout”: to define what people mean by this term and discuss possible causes and prevention. Many therapists aspire to owning their own practice. This is an excellent goal for some, but others may find the business aspect very stressful. The owner of an independent clinic may have to deal with landlords, leases, buying equipment, paying for utilities and maintenance of the office, and perhaps supervising other therapists. Also, it takes a while to build a profitable practice and there may be financial strain. Therapists working as employees or contractors in an environment where they do not feel valued or respected may also experience mental burnout. Opening an independent practice may be feasible for someone who already has business experience. Otherwise, a new therapist might be wise to work as an employee or a private contractor, to gain experience before attempting to open an independent practice. Taking a small business course may be advisable for new therapists who wish to become independent business operators, as there are many financial issues to consider. While this may be an attainable goal for some, there are other therapists who love the work, but will never be comfortable in the role of a business owner. Even therapists who do not have the goal of being an independent business owner would be wise to look to the future by taking some business courses. This education will help them negotiate contracts that are in their best interests and reflect their growing experience, and therefore “worth,” as an experienced RMT working for others. Therapists can also experience boredom if they keep doing the same type of treatment year after year. We are required to obtain continuing education credits, and sometimes studying a new modality and adding it to the practice can provide the variety we need to keep the work fresh and interesting. When a therapist tells me that their work is stressful because they take on all their clients’ troubles, I consider that a warning sign for emotional burnout. Some clients like to rest quietly during a massage, while others like to talk, sometimes pouring out their problems. Massage therapy students are sometimes told that they should discourage the clients from talking, and tell them to “breathe” rather than talk. However, the reality is that as tight muscles relax, the problems that caused the tension often come pouring out. For some clients, this is part of the therapeutic process. In our role as massage therapists, we are not qualified to counsel, but we certainly can allow clients the opportunity to talk and we can listen empathetically. The important thing to remember is that listening does not require us to emotionally take on the clients’ problems. We can give advice about relaxation techniques and give referrals to appropriate counselling services. In such situations, it is good to recall a saying that was common in ‘pop’ psychology: “Remember who owns the problem.” The client owns the problem: it is the client’s life and he or she must deal with their stressful work, their difficult colleagues, their dysfunctional family, their ailing relatives, or whatever the problem may be. We cannot do it for them. By taking on the client’s problems, we make ourselves less effective in helping the next client and in dealing with our own lives. It is important to practise “letting go” of both the emotional worry and the energy that accompanies those negative feelings. While clients are in the treatment room, we focus all of our energy on them, but after the clients leave, they take their problems with them and the therapist must let go of both. Here are resources for massage therapist job seekers. Massage Therapy in Ontario is a growing occupation and has a high employment rate and many opportunities for employment. To find a job that best suits what you are looking for use combination of the resources listed below. INDEED – Indeed is the #1 job site worldwide, with over 70 million unique visitors and 1.5 billion job searches per month. Indeed is available in more than 50 countries and 26 languages, covering 94% of global GDP. JOB BANK – Job Bank is Canada’s one-stop job listing Web site. Each year we help hundreds of thousands of Canadian workers, job seekers and employers connect online, and free of any service charges. NEWSPAPERS – Local Papers are a Great source for recent job postings. 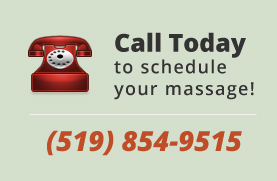 Massage therapists can specialize in over 80 different types of massage. They include: Swedish massage, deep-tissue massage,sports massage, reflexology etc.